Designer Maya Reytan has been influenced by many cultures to create timeless blends of rich materials and styles. Irresistibly romantic, Adaya features superb hand craftsmanship and intricate designs. 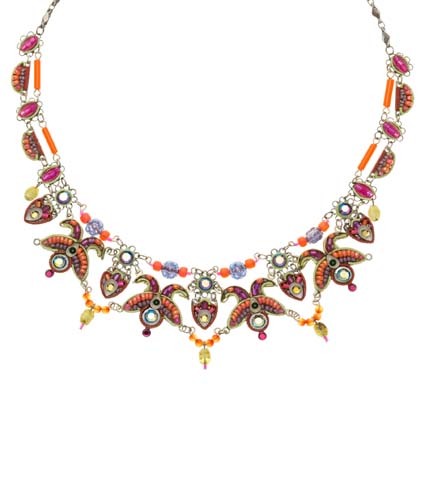 Enamel, crystals, glass beads, and decorative metals are combined for a variety of colours and textures.